The drug propranolol has had a rather storied history. It was the very first successful beta blocker ever devolved and garnered its inventor, James Black, a Nobel Prize in medicine. It has taken many forms over the years and is commonly used to treat hypertension and anxiety disorders. Now it appears that this pharmaceutical wonder has a new ailment to combat: racism. 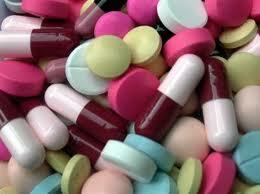 According to a recent Oxford University study, the drug reduces racial prejudice in white people. The study took a group of 36 Caucasian volunteers and split them into two groups. The participants were subjected to an “Implicit Association Test” that reveals subtle racism by having the volunteer match white and black faces with positive and negative words. One of the most striking aspects of this study is the Implicit Association Test to detect subtle racism. Wouldn’t it be easier to just find participants who are overtly racist and give them the pills? Why is the subterfuge even necessary? Also, I would like to know just whose faces these white people were being shown. For instance, there is a big difference to how I would react to a picture of Nelson Mandela versus, say, Suge Knight. Until I have some context for these pictures I am not sure it is fair to identify these people’s initial reactions as racist. I would think that the hardest pill to develop would be one that treats hypochondria since the placebo might prove to be more effective than the actual medicine in which case it would be impossible to fund further research. It would also be nice if there was a drug for stubborn ignorance but it would be next to impossible to convince sufferers that they suffered from a real disease. It would be wonderful if we could treat bigotry and hatred with an easy-to-swallow caplet, but I am far too cynical to believe that something as deeply ingrained as racial favoritism can be chemically erased so easily. Of course, given enough time, perhaps they will develop a pill for the treatment of pessimism and I will be able to get onboard.